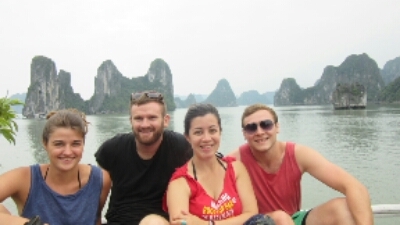 Halong Bay: Tu many lies – Where's Walton? 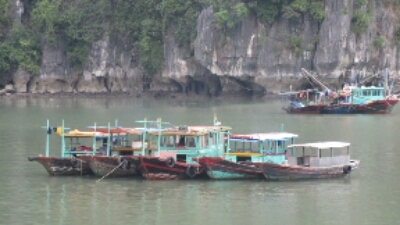 One of the places I was most excited to visit in Vietnam was Halong Bay – which is on the north east coast of Vietnam. 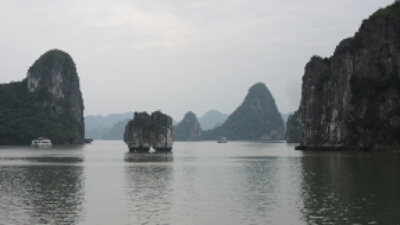 It has a cluster of 1069 islands and is apparently (according to our tour guide Tu) one of the 7 new wonders of the world. 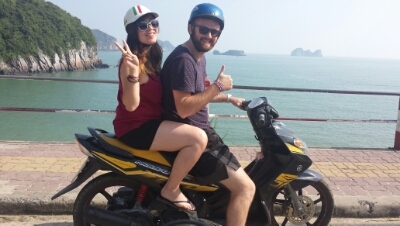 We booked 3 days, 2 nights first night staying on a boat with kayaking, fishing, karaoke, swimming followed by staying in bungalows on the beach. Lie number 1: You are staying on the boat tonight. Actually we’re going to move you guys to your bungalows instead. Lie number 2: We are moving you because tomorrows boat will be much nicer. We returned to the exact same boat as the day before. Actually no, you don’t have that. Too be honest, we weren’t bothered about any of this. 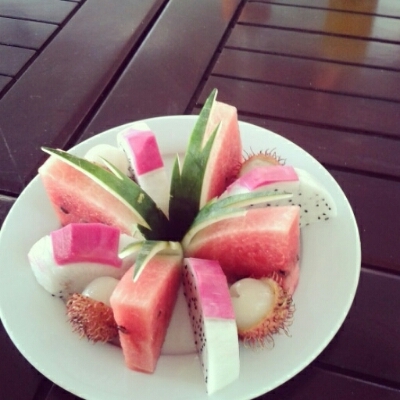 When you have low expectations of a trip (as our tour guide Lily advised), then everything else is a bonus. However eventually confronted Tu and told him to stop lying to us. We aren’t idiots and there’s only so much I can take before I have to have words. We were then rewarded with a large bottle of vodka and coke for the inconvenience (Tu little Tu late! My jokes are terrible). But it was clear that there were a lot of other pissed off/missold guests on the tour who were promised a party boat when in fact it wasn’t and lights out was 8.45. I don’t think I met one person on the tour that had any idea what was going on. 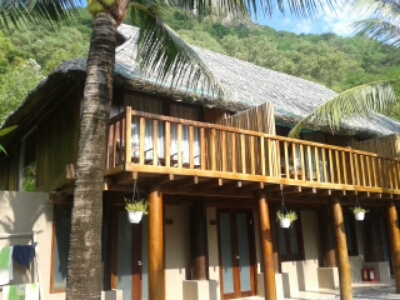 But on Cat Ba the bungalows we stayed in was the most fancy accommodation I’ve ever stayed in – with a private beach! I was not expecting that at all, hi five to our booking agent Lily! 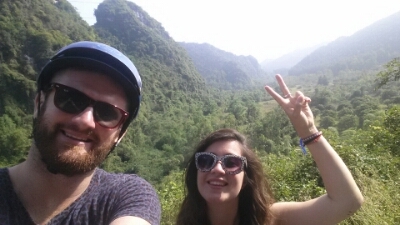 The best part of Cat Ba was renting mopeds and exploring the island before returning to the boat. It was just amazing to look around and the locals seemed so friendly waving at us as we toured around. 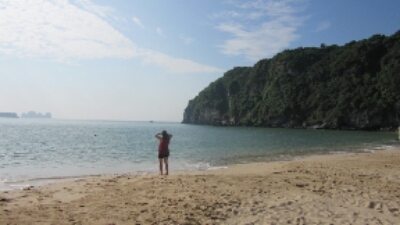 Looking back, I probably wouldn’t have done the boat trip – I would have just gone to Cat Ba island for a day and avoided the boat tour all together but we did get to FINALLY kayak on day 3 for half an hour- thanks Tu (after waking us up at 7.15)! Touring the island - we survived!